The Maryland Department of Transportation's State Highway Administrator says relieving congestion on Interstates 495 and 270, and particularly the daily bottlenecks before the bridge's Potomac River crossing is the project's primary goal. WASHINGTON — What’s clear is the new American Legion Bridge will carry more lanes of traffic, including express lanes, between Virginia and Maryland — what remains to be seen is what the bridge will look like, and what the experience will be for drivers. 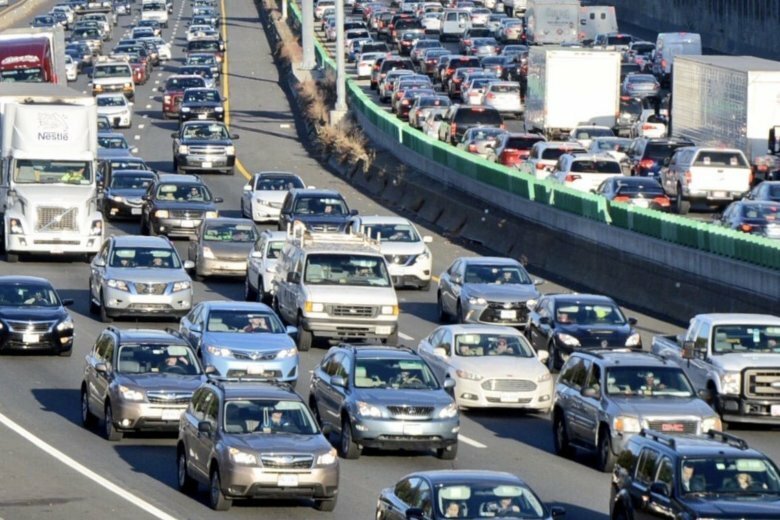 Greg Slater, Maryland Department of Transportation’s State Highway Administrator tells WTOP relieving congestion on Interstates 495 and 270, and particularly the daily bottlenecks before the bridge’s Potomac River crossing is the project’s primary goal. Last week, Virginia said it would extend two express lanes to the American Legion Bridge, which crosses into Maryland. Slater has confirmed cars that cross from Virginia to Maryland will have at least the same number of lanes. The American Legion Bridge is approximately midway in the public-private road project, which runs from Maryland Route 5 near the Woodrow Wilson Bridge, north on 495 past the Legion Bridge, onto Interstate 270 until it meets Interstate 370, in Gaithersburg. Slater said 15 alternatives are being considered to relieve congestion, ranging from making no changes in the road structure, to adding general purpose lanes, high occupancy tolls, to a number of transit solutions. Slater said officials are aggressively seeking innovative solutions. “We’re trying really hard not to put our ideas out there on the table, because that stifles innovation by the private sector because they’re thinking ‘this is the idea,’ that Maryland prefers,” he said. As for the bridge itself, Slater said once authorities determine the desired solution, they’ll ask the private sector to come up with ways to increase the numbers of cars that cross between Virginia and Maryland. “We’ll say, ‘OK, this is the footprint you have to work with, so give us your best and most innovative ideas, based on the strategic goals that we have,'” he said. When the bridge-building process begins, traffic across the Potomac won’t stop, Slater said. As in other bridge projects, Slater predicts certain lanes will be closed during construction, and reopened as new structures are in place. Pending a number of approvals, Slater hopes the project can be out for bid by 2020.